We have bowls drives which take place on Friday evenings most weeks during the outdoor season. 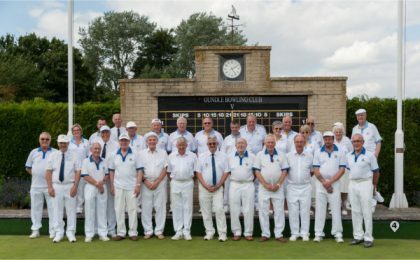 These are well attended and give new bowlers the opportunity to meet other members and gain experience in the company of more experienced bowlers. Just sign up on the notice board and you will be able to play a triples or fours game. There is also plenty of opportunity for casual play; you should always be able to find someone to give you a friendly game. If you are looking for competitive play, our ladies, mens and mixed teams play other clubs mainly in Northamptonshire area, and we enter teams in inter-club competitions. Visit our Fixtures Pages to view our full fixture lists. We hold annual club competitions with finals being played over a weekend towards the end of the season. When the outdoor season is over, many members play short mat bowls in the club house. 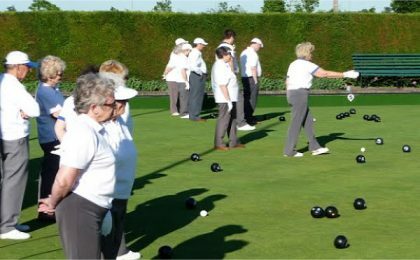 Visit the Indoor Bowls Page for more details.